A custom laptop sleeve is a promotional product suitable for people of all ages. As a promo gift cases and sleeves are able to prevent your newly bought laptop or tablet from being scratched by foreign objects or even to protect them from attracting dust. And this ensures that your laptop looks as good as new! Furthermore, as an incentive, a custom laptop sleeve would definitely increase the value of your brand, especially as give-aways to university and college students. They will carry this bag to classes and lectures, providing great brand exposure. This kind of merchandise has a great opportunity for university logo placement, which can be debossed on the PU leather. And this is why we would like to introduce a new product idea for your next promotion, an eco-friendly and uniquely designed custom laptop sleeve. 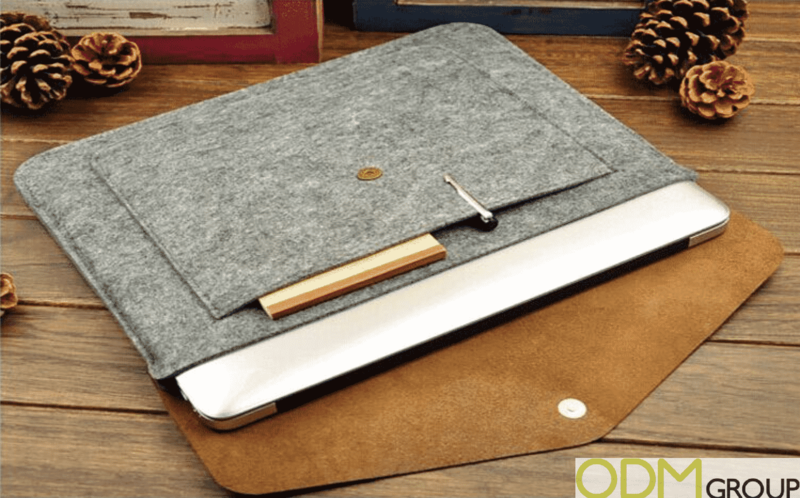 What makes this custom laptop sleeve stand out is its design. These sleeves are created from a nylon and felt material which makes them look professional, durable and are high quality. If looking to use a different material however they can be easily designed using different custom materials. Another great feature is that this custom laptop sleeve can also be designed to fit tablets. These sleeves in general can be custom made to fit 13″, 14″,15″,16″ sized laptops but can also be made smaller – 9″ – to fit tablets sizes. The inside of the sleeve also has a smaller pocket which can be custom sized to hold your tablet as well as your laptop, making this product very practical, multi-functional and appealing. Even more appealing is that it is also waterproof, which is extremely convenient for keeping your items inside dry. It can also be customised to feature your brands logo. Your logo can be printed, debossed or embroidered onto the sleeve, and can be placed in numerous areas over the sleeve, leaving you with a lot of branding area to customise! What’s more you can customise the colours, and the sleeve can be designed using silk printing or heat transfer printing for any other design you wish to custom add. 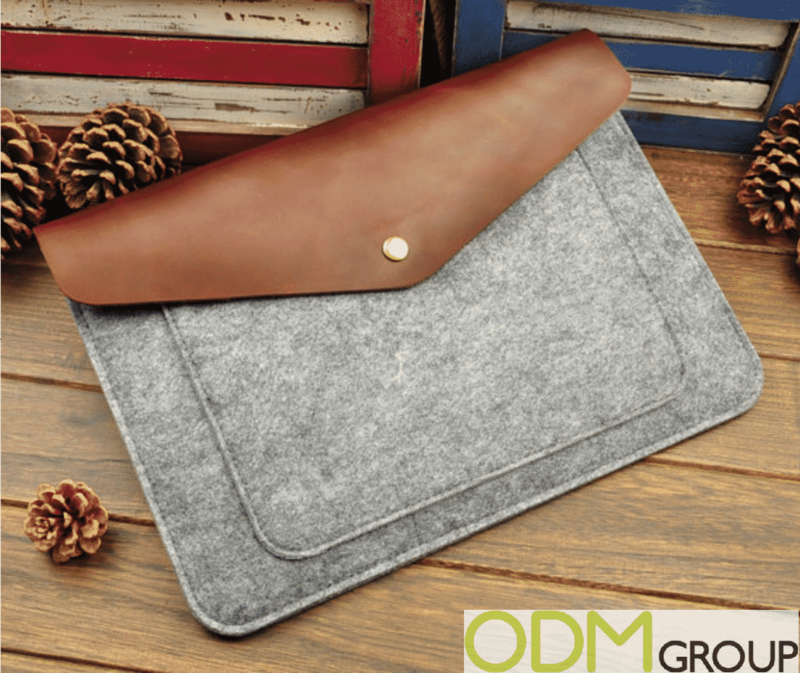 How can this custom laptop sleeve increase your marketing potential? Practical. Laptop sleeves as promo gifts are super convenient, durable and will for sure be used on a daily basis. They are also great products to promote at universities and colleges and at electronic events or as gifts with purchases. 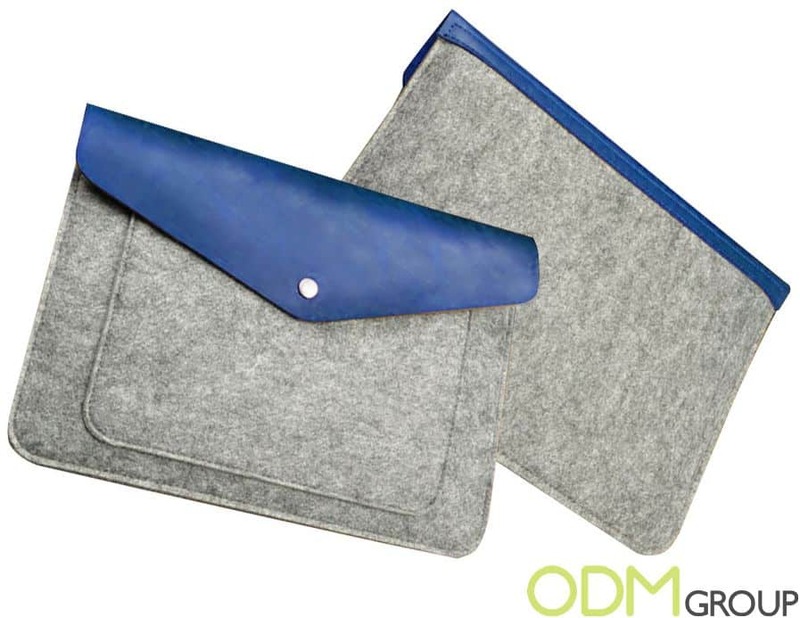 University students in particularity use their laptops and tablets a lot during lectures, seminars and for carrying around to libraries and other places to study, research and write assignments, making this laptop sleeve the perfect idea for them to use. Design. The design and branding potential for this custom laptop product is huge. You can customise your own colours, materials, size and can easily add your logo and brand name. With this idea the world is your oyster for customisation. Brand awareness. You will easily increase your brand awareness and exposure with this product. It is functional, and people like functional and will take advantage using your product if not often but daily, to carry their laptops and tablets in public places.If your brand image and logo are embossed onto the sleeve itself, other potential customers will see this unique sleeve and will remember that your brand gives away and designs cool products. And this in general will help to boost your brands sales, and brand recall in the future. 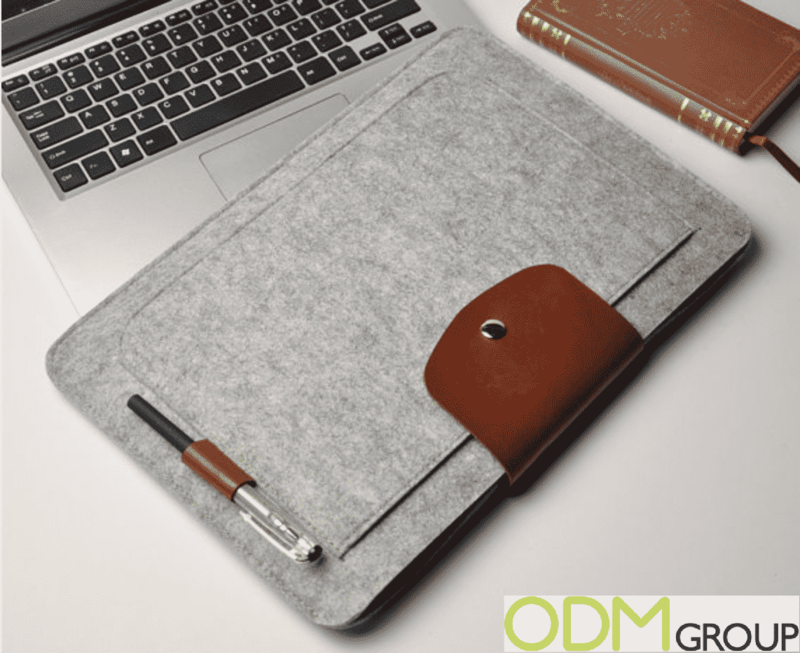 If you want your brand to be etched into the minds of customers and would like to customise your own unique custom laptop sleeve, then feel free to contact us at ODM today for more information as we have years of experience in designing and manufacturing unique promotional products such as this. If wanting to read about more laptop sleeve and laptop product promo ideas, have a read of some of our other blogs below.